Dr. Thatikonda has a special clinical interest in breast, brain, GI, thoracic and head and neck malignancies. She is trained in intracranial and extracranial stereotactic radiosurgery/therapy (SRS/SRT), Cyberknife® radiosurgery, intensity modulated radiation therapy (IMRT), 3D conformal radiotherapy and high dose rate brachytherapy. In her spare time, Dr. Thatikonda enjoys playing tennis, reading books, traveling, cooking and listening to music. She is married and has one son. 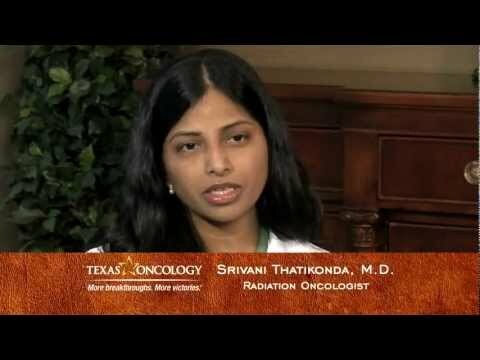 Breast Cancer Screenings and Risk Factors with Srivani Thatikonda, M.D.